After finishing the three sketches below, I took the second sketch (which was done in Sketchbook Pro) and added some color in Art Rage. It would be interesting to try the same thing with Art Studio simply because despite the “flatness” of the results, it’s so much more responsive that I’d probably be more inclined to experiment and use more layers. Over the last few months I’ve used my iPad as a sketchbook and have become pretty intimately familiar with three of the four main “faux media” apps on the iPad (the fourth, Brushes, I am boycotting because I think it’s overpriced compared to the others and as far as I can tell it replicates some of the usability issues on the iPhone version — which I have). To illustrate my points I’ve got four versions of the same basic sketch attempted in the three programs. The fourth is a hybrid work created using two of the programs for their strengths. Let me say at the outset that I like all of these programs and don’t regret paying for any of them. The total amount I paid for them is less than the cost of Pixelmator on the Mac, and less than I’ve spent on Vector drawing programs for the iPad, not one of which is as satisfactory as any of the programs discussed here. This version of the sketch was produced using Art Studio. Although I’ve tried to create some texture with the brushes, the results are pretty flat. 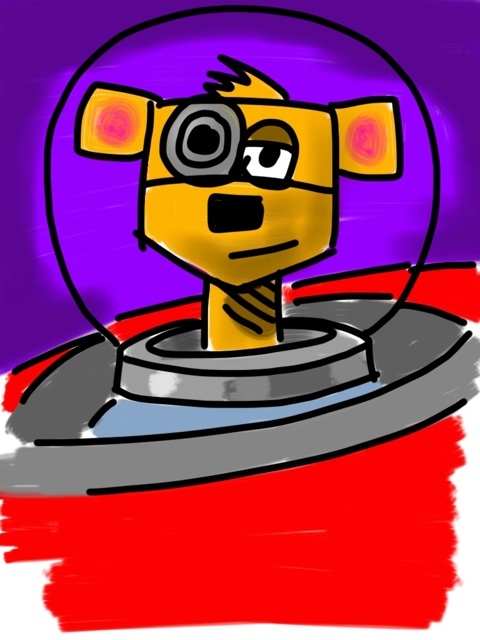 Art Studio was the first paint program I bought for the iPad, and it’s kind of my go-to doodling app (along with Adobe Ideas, which I may discuss in another post). 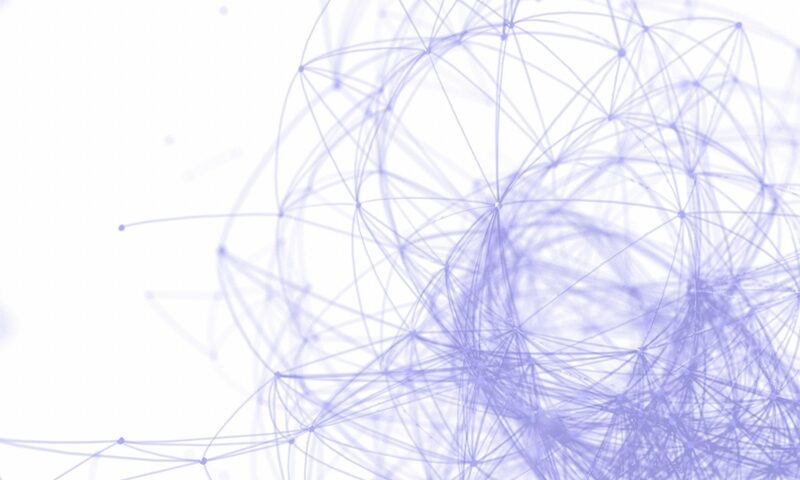 It’s technically the simplest of the programs, making very little effort to simulate natural media. Consequently it feels lighter than the others in use, and is very responsive. It’s also kind of ugly and it produces “simple” results. Or at least I produce simple results with it. Art Studio’s single worst deficiency is a very poor color picker. 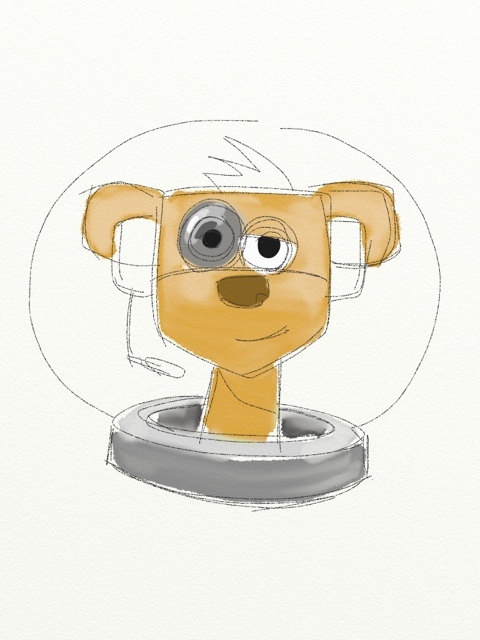 This sketch was created in Sketchbook Pro. I tried to add color, but i disliked the results so much I gave up and ended up adding color in Art Rage (top image). 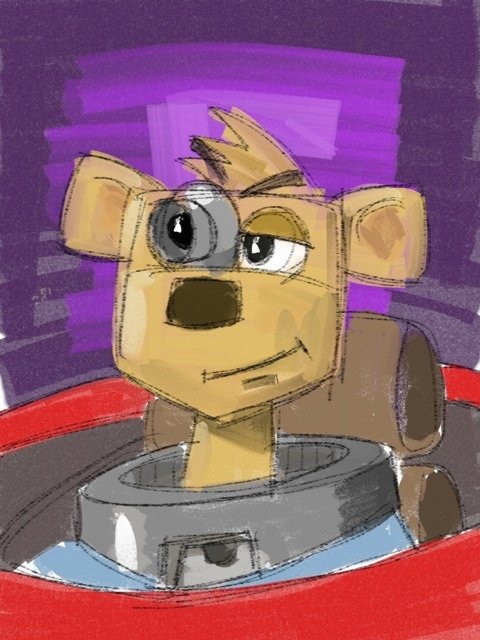 Sketchbook Pro (by Autodesk) was another early purchase. Early on I found it almost unusable, both because of odd UI decisions and generally sluggish performance. The current version feels almost as light as Art Studio and its brushes are much more sophisticated, but it doesn’t do sophisticated “wet paint” and “brush load” effects (as far as I can tell). But some of its brushes, and its pencils in particular, feel “just right” and are very responsive. 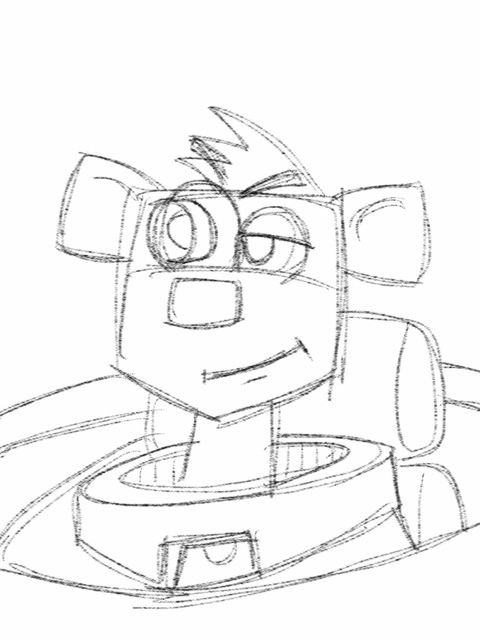 Art Rage is very sluggish, making trying to produce a free-flowing sketch a pretty nasty experience. Once the sketch is blocked out, adding texture is another story. Art Rage has long been a favorite of mine on the Mac. Having given up on Painter long ago (I actually had a copy of Painter when it still came in a can, and I also had a copy of its forerunner, Fractal Sketch), Art Rage managed to capture the really cool features of Painter (namely wet brush simulation) without the overwhelming UI cruft. Art Rage on the iPad manages to be even cleaner and simpler while retaining the coolness, but boy is it slow. It’s almost impossible to “sketch” in because lines move like treacle. In the end, I think Sketchbook Pro, as its name suggests, is the supreme sketching tool, but filling out a sketch is less satisfying. (That said, better artists than I get amazing results out of it.) Art Rage gives simple sketches an amazing “real media” quality with very little effort, but I think it really wants more RAM and CPU. Art Studio is a nice toy. It’s the fastest program in use, and it is possible to produce decent stuff in it, but in the end I think it’s just too crude.